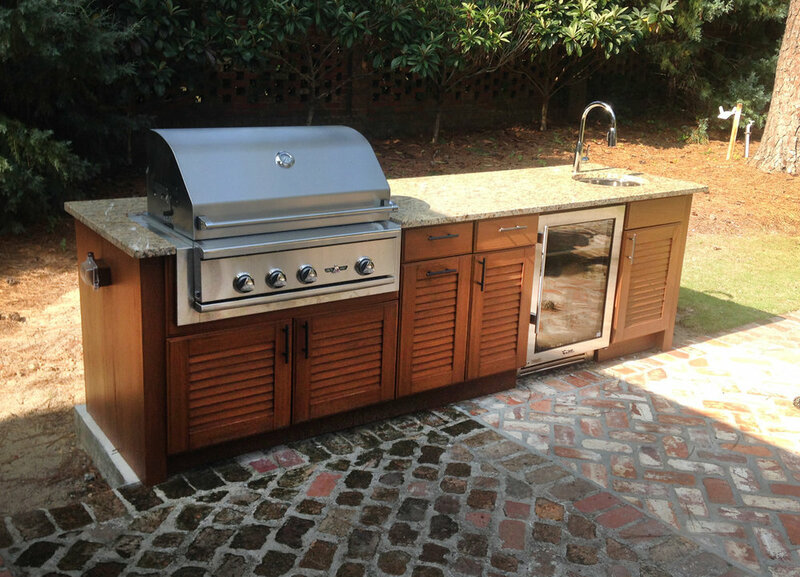 The growing popularity of outdoor kitchens! The cabinets are constructed of three-quarter-inch thick white or black PVC, and feature all-stainless steel hardware. A closed-cell weatherproof resin, moulded to simulate the textures of wood, encases the exterior. Available in louver, shaker and slab style door styles the doors come in 15 finishes. 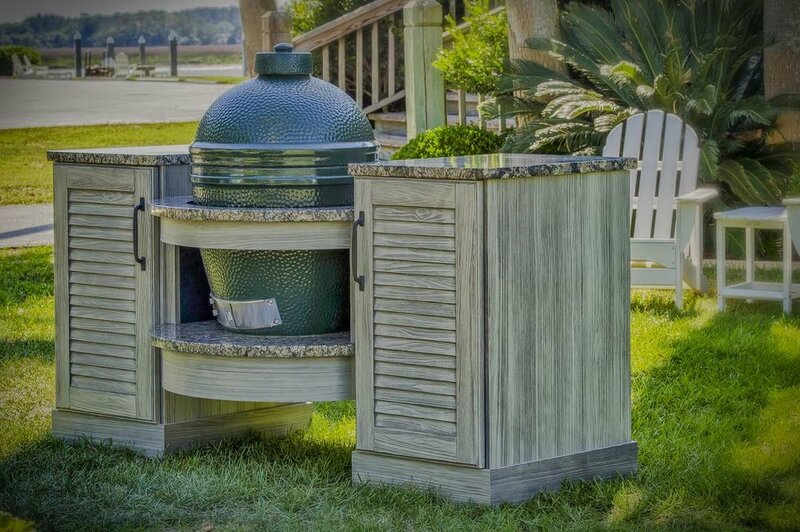 These cabinets are designed to beautifully supplement your outdoor living space by providing comfort, style and longevity. 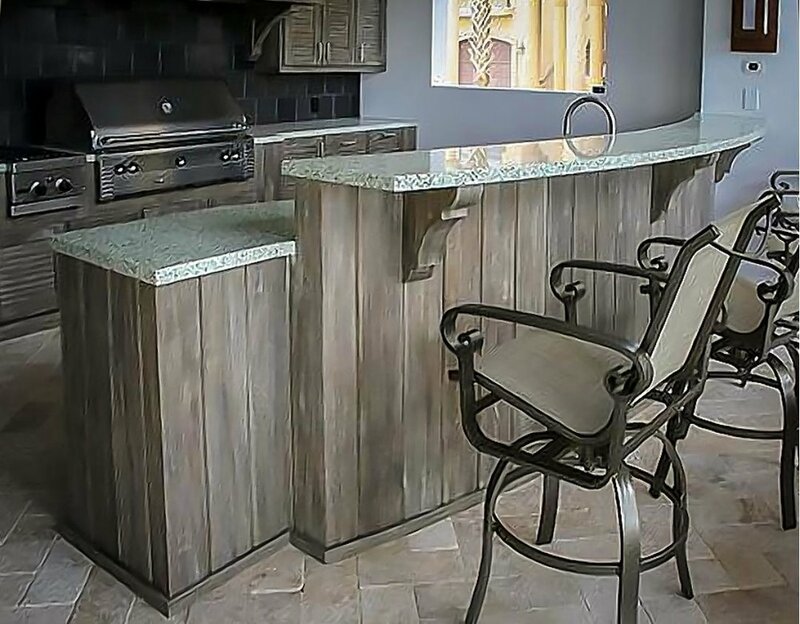 The NatureKast cabinets are made with a technologically-advanced, high-density resin system, which means they won’t crack, split or rot, regardless of the amount of rain, humidity, heat or other environmental conditions. 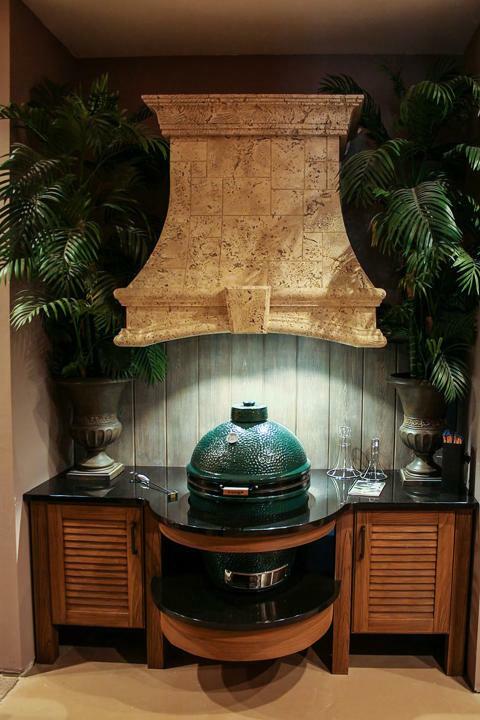 The cabinetry is also sold through construction materials firm Trex, Inc., which buys the cabinets manufactured the NatureKast Products through a trademark licensing agreement, rebranding them as Trex Outdoor Storage. Get ready for spring and come see our beautiful samples! Open Door Cabinetry & Design’s Showroom is OPEN! What?!? That's an Outdoor Cabinet?! ?